Have you heard of SwagStamp? I hadn't until recently. 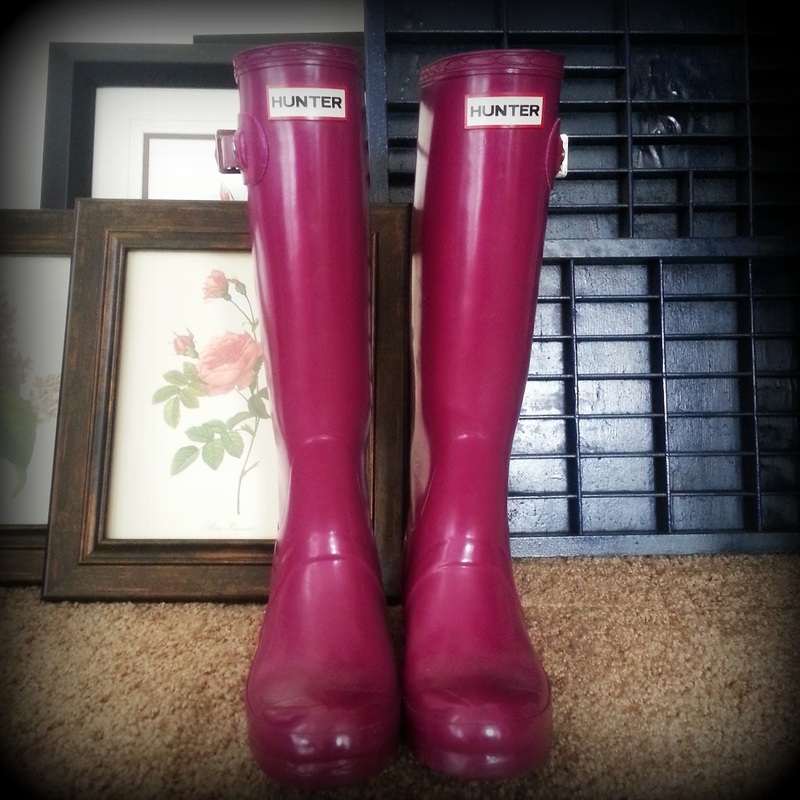 I was I was poking around on the internet and came across a picture of monogrammed Hunters. They were so cute, I had to track them down. 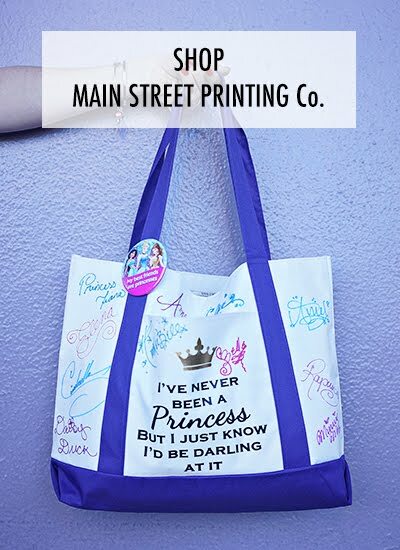 A few minutes of googling brought me to SwagStamp's shop. Everything is so cute I wanted to share. 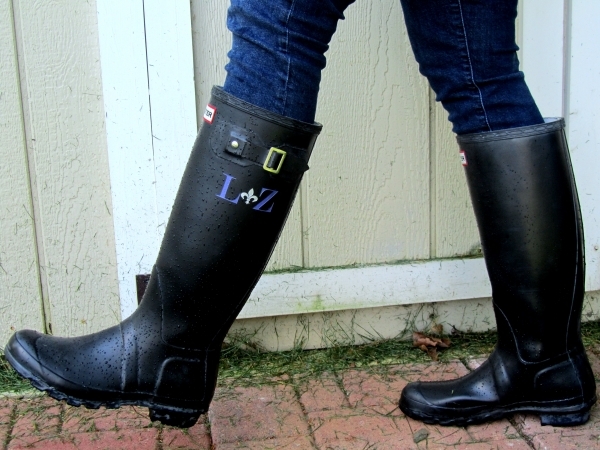 You can purchase customized monogrammed Hunter boots directly through the shop ($190 for tall, $180 for short), or you can send them your boots to have monogrammed for $50 (which includes shipping both ways - awesome!). 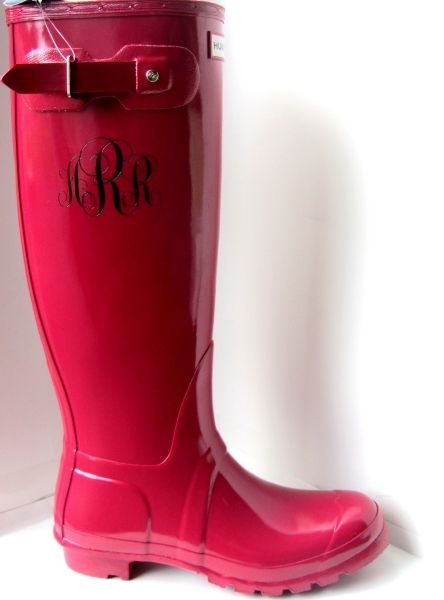 I'm thinking of sending them my violet Hunter boots for gold script engraving. 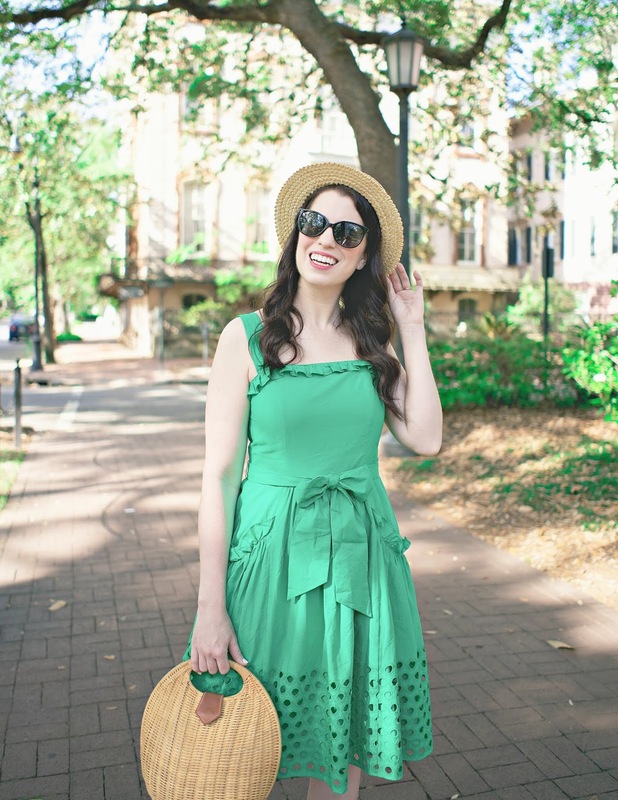 What do you think - Good combo? They also carry Tory Burch and Vince Camuto flats and J.Crew sandals that can be personalized with monograms or with team spirit. Seriously, why didn't someone tell me about this earlier? Violet and gold would be so pretty! Wow I have never heard about this! I think violet and gold would look really good together too! Let us know if you were happy with the results! 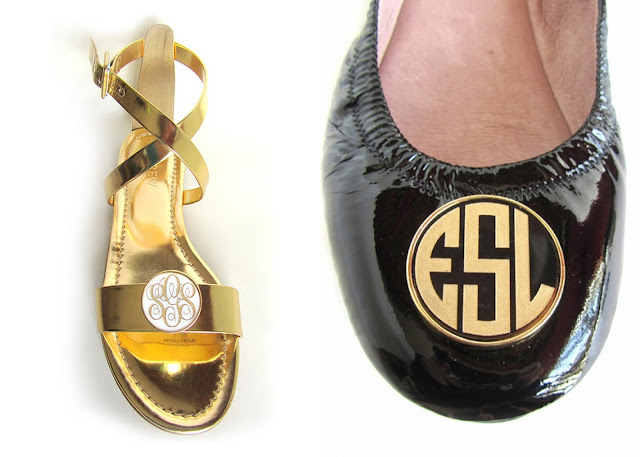 You had me at monogram! I haven't heard about this before but I will have to check it out! I agree with Alex and Becky, I think violet and gold would look great together! Thanks for sharing!